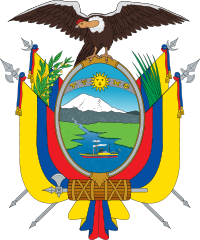 Coat of Arms: The shield is composed of mount Chimborazo, and the Guayas river which symbolize the beauty and wealth of the country. Above the land is a golden sun surrounded by the astrological signs for Aries, Taurus, Gemini and Cancer. These represent the months of March through July, and symbolizes the duration of the March Revolution of 1845. 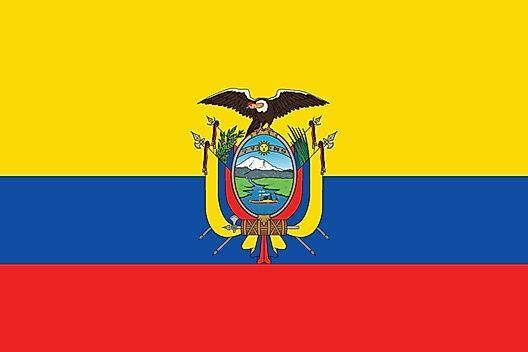 Motto: "Dios, patria y libertad" "God, homeland and liberty."